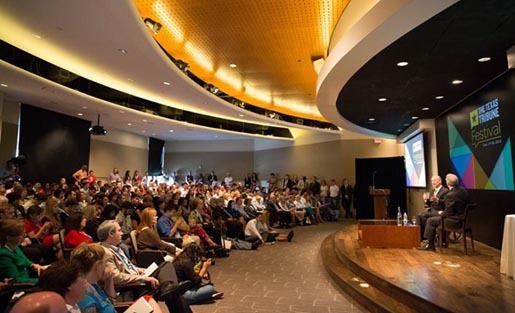 The 2013 Texas Tribune Festival helps connect sponsors with an educated and engaged audience. But memberships are also an important part of the fundraising mix. Editor’s note: This is the next installment of “Brass Tacks,” an occasional series on NewsBiz focusing on pragmatic advice for selected best practices in the business of digital news. Membership drives for non-profit media have evolved far beyond volunteers taking pledges over rotary phones. "Running an effective membership program is a complex, never-ending endeavor." Today’s leading non-profit news outlets operate as mission-driven businesses fueled by corporate sponsorships, events, philanthropic donations and other revenue sources. That same degree of sophistication applies to memberships, which remain an important part of the fundraising mix. The Texas Tribune tallied $668,642 in membership revenue in 2013, a 31 percent jump over the previous year. Memberships accounted for roughly 13 percent of overall revenue during a record-setting year that brought in $5.1 million. The Tribune has learned plenty of membership tricks since its debut campaign in late 2009, when 1,400 people signed up while pledging about $145,000. In 2013, about 2,700 people joined or renewed their Tribune memberships, with a renewal rate of 70 percent. Are you asking people to join primarily based on benefits they will receive, or is their membership a vote of confidence in your mission? The Tribune offers modest benefits ranging from monthly newsletters to invitations to VIP events, but its membership strategy mostly focuses on selling the value of the Tribune’s public-service journalism. “It’s really a philosophical ask: Please support our mission at the level that’s most comfortable for you,” said Gilburg, who has been with the Tribune since its launch. Choate, who joined the Tribune in 2011, said that while early membership efforts were geared toward introducing the Tribune, more recent campaigns have focused on convincing potential members why the site’s work is important. “If they haven’t given yet, in my opinion, they don’t know why we’re important yet,” Choate said. Choate said it’s important to seek buy-in from the entire organization, from department heads to designers to the newsroom. She invites employees to membership happy hours and circulates pre-written social media statuses that staffers can share if so inclined. Some public broadcasting stations have found success by adopting sustaining-membership programs based on automatic monthly donations. The Tribune doesn’t take that approach, but has found a stable source of revenue with its “editor’s circle” program, in which supporters pledge up to $5,000 annually for three years. “That was really genius in a box in terms of revenue growth,” Gilburg said of the circle program, which began in the summer of 2010 and has grown to produce $354,500 in annual contributions from 173 members. Cultivating and maintaining a membership base is an “exceptionally large task,” Choate said. For some non-profit news organizations, the costs to staff, promote and maintain a membership program may not be worth the effort. It’s important to weigh the expenses against the returns.